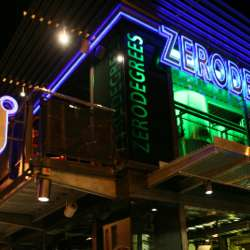 We’re pleased to invite you to our next official event at Zerodegrees microbrewery and restaurant. It’s one of the few places in town that offers craft beers with its own trademark of ale, lager, and dark beers. Situated close to the main shopping center in this vibrant town, it cannot be missed as it’s adjacent to Reading town landmark pub, the Purple Turtle. Join us for an evening of introductions and socializing while enjoying special food and drinks deals in a refined atmosphere. Don't forget to ask our photographer to capture these great moments with your InterNations family. Especially for you, 25 welcome drinks for the first guests to arrive.